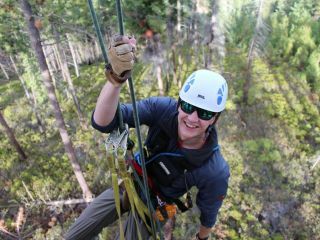 Nestled in the heart of the stunning Cascade Mountain range, Running Y Ranch Resort supports outdoor enthusiasts seeking their next great adventure. 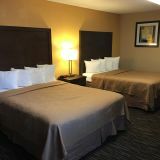 With crisp, clean air and 300 days of sunshine each year, this destination is suitable for any pursuit, whether your mission is to relax by the lake or go whitewater rafting. 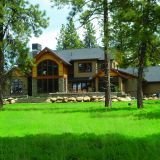 Browse Klamath Falls attractions below and more in the surrounding area. Located just 59 miles from Running Y Ranch, Crater Lake formed as a result of the eruption of 12,000-foot Mount Mazama thousands of years ago and is known for its clear blue color, depth, steep sides. Witness the dramatic island that sits in its center, Wizard Island. 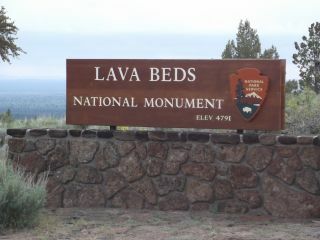 This national monument is known for its geological and historical value. Over the last half-million years, volcanic eruptions on the Medicine Lake shield volcano have created a rugged landscape covered with diverse volcanic features. See more than 700 caves, Native American rock art sites and historic battlefields. Founded in 1935, the Oregon Shakespeare Festival is a not-for-profit professional theatre. The season runs from February through early November, and there are three theatres: two indoor stages, the Angus Bowmer Theatre and the Thomas Theatre, and the flagship outdoor Allen Elizabethan Theatre, which opens in early June and runs through mid-October. See current showing here. 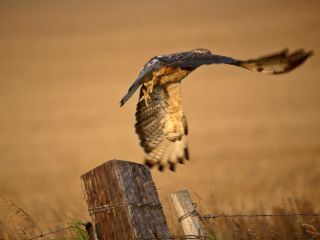 The Klamath Basin is renowned for its diversity of bird life due to its distinct habitats including marshes, open water, coniferous forest, Juniper woodlands, oak-chaparral, sagebrush-grasslands, grassy meadow and rocky cliffs. Over 350 species of birds call this major Pacific Flyway layover home, including Pelicans, Egrets, Herons, and Grebes. Read more about birding here. Ready for a scenic drive? The Volcanic Legacy Scenic Byway is roughly 500 miles long and travels through the Cascade Range past numerous volcanoes. Skirting lakes, diverse wetlands, and scenic ranches, the byway will give you access to rich history, charming towns and extraordinary recreational and cultural opportunities. 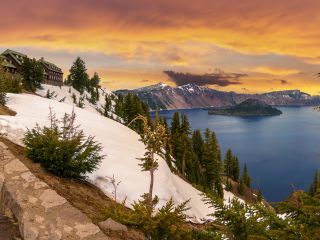 Highlights include Crater Lake National Park and Upper Klamath Lake, Oregon's largest lake, famous for its diverse birdlife. Also known as Mitchell Recreation Area, Mitchell Monument is a small picnic area and a commemorative location as the only place in the continental United States where Americans were killed during World War II as a direct result of enemy action. The deaths were caused by a Japanese balloon bomb. 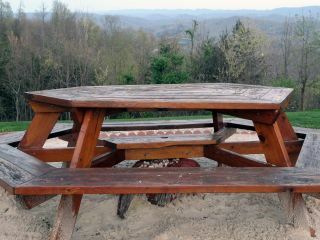 The site is maintained by the United States Forest Service and is listed on the National Register of Historic Places. 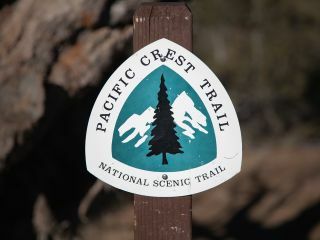 The Pacific Crest Trail is a renowned long-distance hiking and equestrian trail closely aligned with the highest portion of the Sierra Nevada and Cascade mountain ranges. 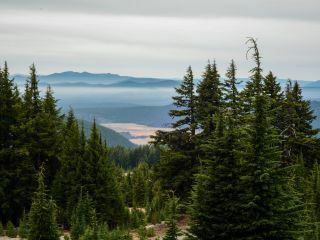 From near Siskiyou Summit in southern Oregon to the Washington border, this section of the Pacific Crest Trail is both the shortest and the easiest to hike or ride. Read more about the Pacific Crest Trail here. You don't have to be a train enthusiast to love this attraction. 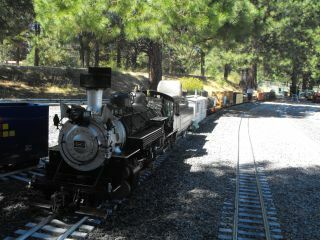 Enjoy a train ride through the mountain on a miniature train for the whole family. Read more about Train Mountain. 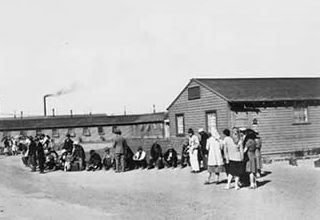 Visit a controversial piece of history where Japanese Americans were incarcerated during World War II. Read more here. 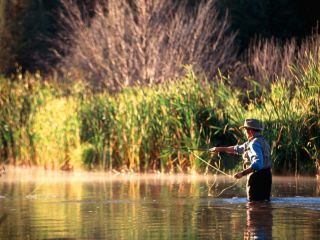 Explore secluded stretches of the Klamath River, where the rainbows average 17 to 19 inches and push the 24-inch mark. And out on the Williamson River, the rainbows are 30 inches plus. Read more about fishing here. 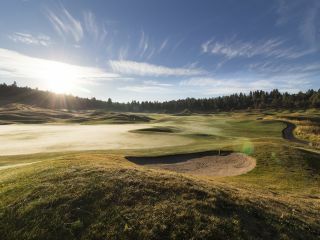 Running Y Ranch Resort is home to a signature Arnold Palmer golf course, complete with golf instruction and a putting green for kids and practice swings. Read more about golf here. 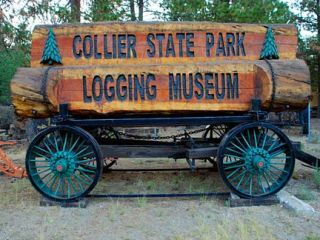 Nestled alongside the Williamson River is a historic logging museum which features a pioneer village and old fashioned logging equipment dating back to the 1800's. Open May 1 through October 1. Read more about Collier here. 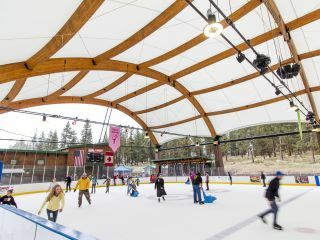 Winter is a great time to visit Running Y Ranch Resort, located near The Bill Collier Ice Arena, open the first week in November through the third weekend of March each year. Read more about winter activities here.